Eyes light up and skull laughs maniacally! Before you start decorating for the holiday, close your eyes and picture a horribly haunted house...what do you see? Bats? Cobwebs? Spooky lighting? Skulls? Perfect. As this is your first haunted house, you will want to make sure to set it up right! You have most of the major components in place, but you know that nothing suggests death and decay like displaying a spooky skull decoration in your room of doom! 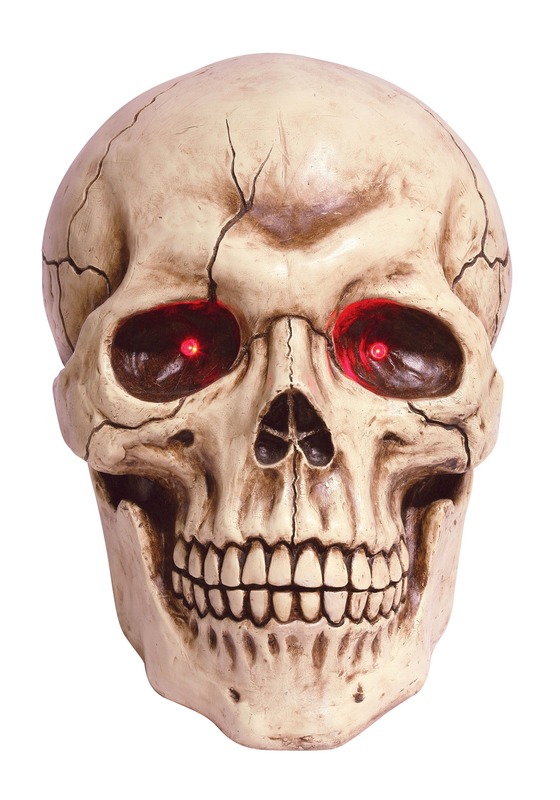 Spook up your haunted Halloween scene by adding this Giant Skull to your festivities and your visitors will see the glowing red eyes and instantly get a chill down their spine; but when this fella starts laughing maniacally, they will scream and run for cover! It is a perfect decor item to display either indoors or outdoors and a must-have for any all Hallow’s eve bash!